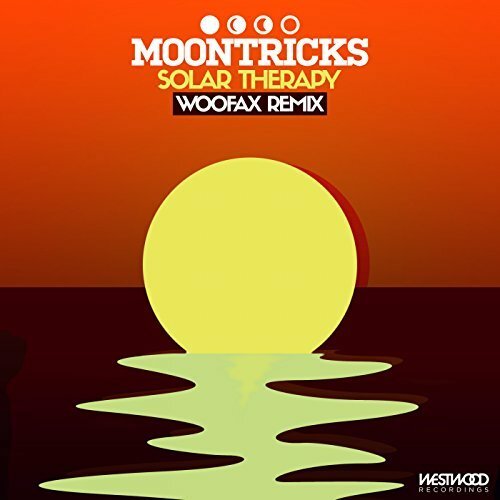 Vancouver, BC- International writer, producer and performer, Woofax returns to Westwood Recordings with his latest remix, a melodic drum and bass re-imagination of Moontricks “Solar Therapy” now available on all music platforms. Moontricks appoints bass music veteran Woofax on remix duties for their classic 2017 single Solar Therapy. Combining the catchy guitar riffs and laid back vocals of Moontricks with a rhythmic breakbeat, Woofax delivers a soulful remix, oozing with summertime vibes. Emerging as one of bass music’s most diverse talents, producing a wide spectrum of chart topping music from Glitch Hop to Funk, Dubstep to House, Woofax is now trying his hand at Drum and Bass. Whether people are dancing in the club, headbanging, or singing along, Woofax’s mission is to take the listeners on a journey through his ever-changing style of dance music. Woofax spent a decade working at the helm of Terravita and Hot Pink Delorean as the main musical writing force, as well as behind the scenes mixing and mastering some of bass music’s biggest artists including Dillon Francis, Excision and The Crystal Method. Now shifting his focus to a solo career his original music has been featured in film and television on major networks such as FOX, MTV, CBS, and Netflix.